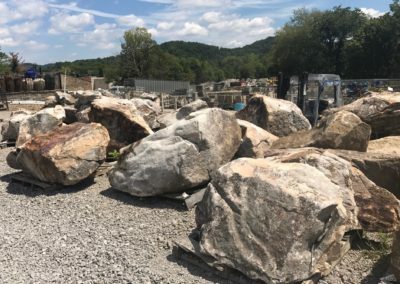 Boulders - J & R Garden, Stone, and Rental Inc.
including fieldstone boulders, riverstone boulders, and more. 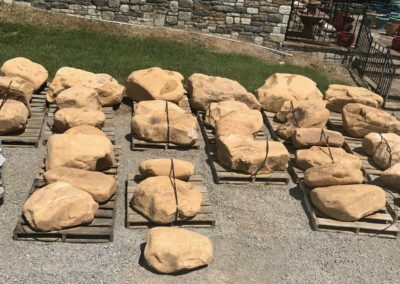 Many landscapes in Nashville are now using boulders and stones. 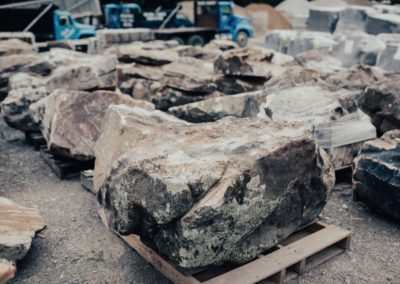 Customer demand for boulders such as field stones, river stone etc. is growing. 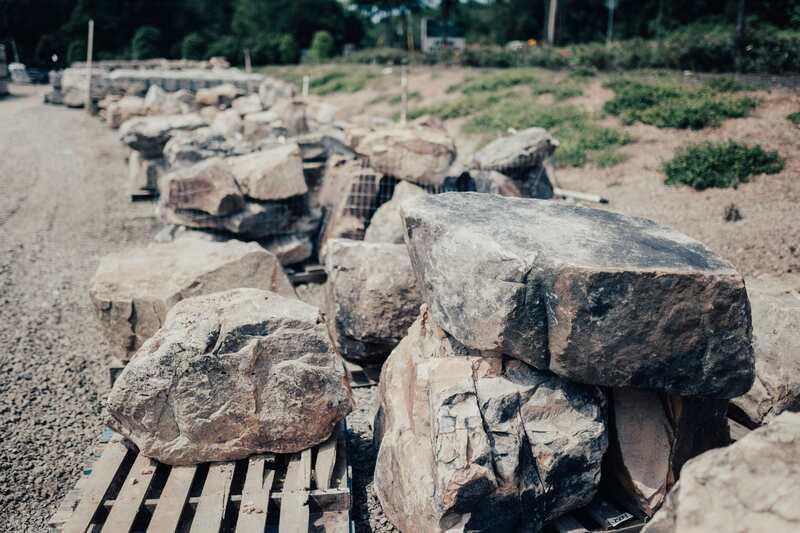 These stones and boulders enhance the serenity and finesse of gardens and lawns. 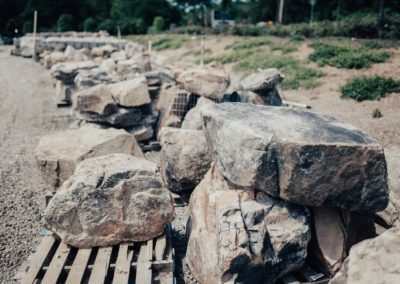 Boulders are sought after options for landscaping. 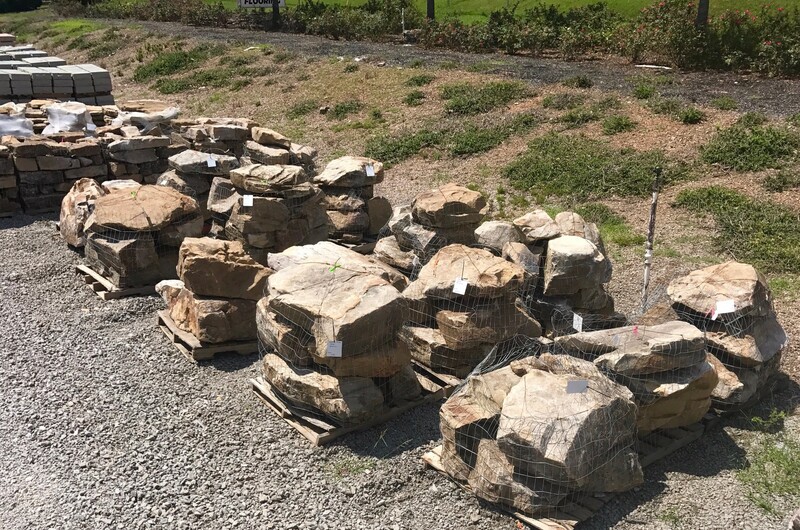 J & R Garden Stones Inc. has all varieties of boulders. J& R provides services from designing, planning, and delivery. 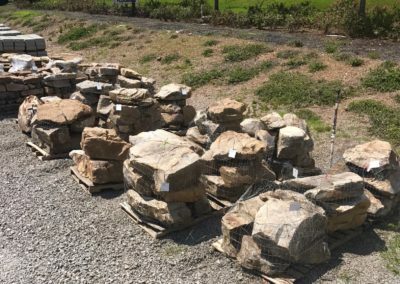 J & R Garden Stones Inc. will help you have an exquisite landscape in Franklin or Nashville, Tennessee. 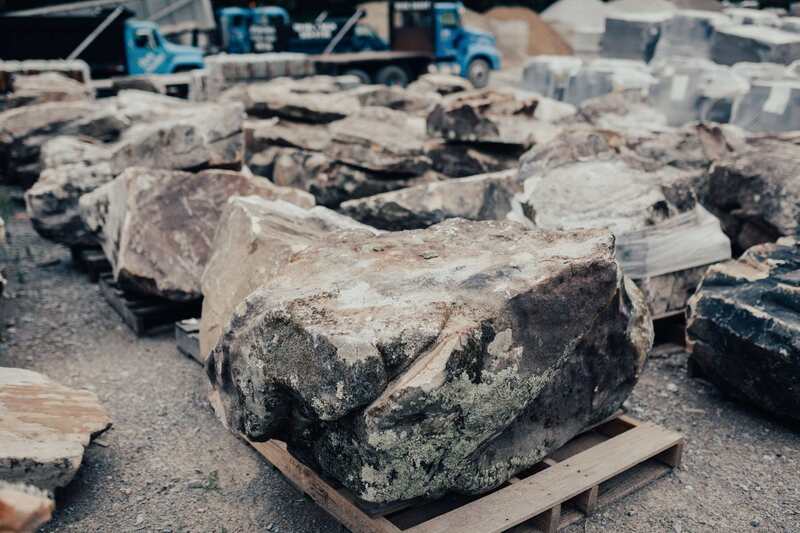 We can cut boulders and design them into many shapes and sizes. They have a lot of different uses. 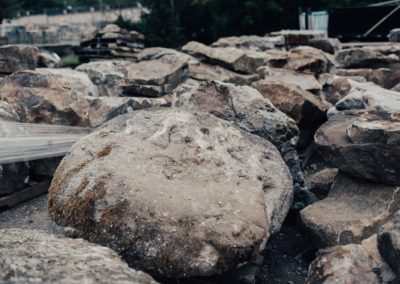 Boulders are great to mark boundaries of ponds or line the entrances of driveways or porches. They are not only very practical but also add an elegant touch to the look of your landscape. 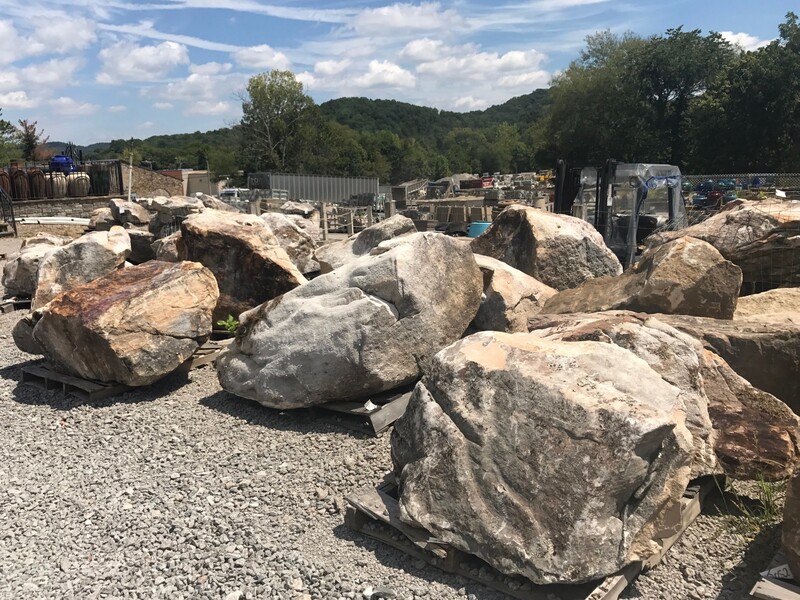 Boulders can add an artistic touch to commercial landscapes. They are available in many colors and sizes. You can get as creative as you want! 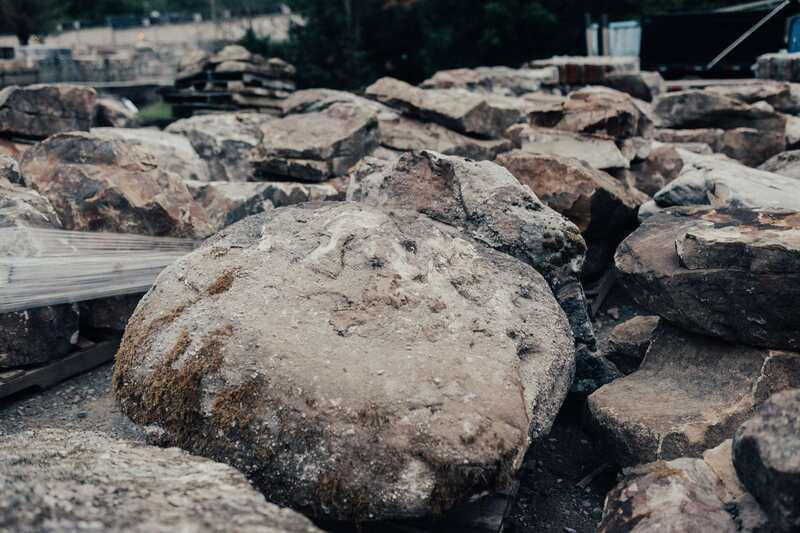 Use a boulder to pull off a colorful artistic boundary or commercial signboard. 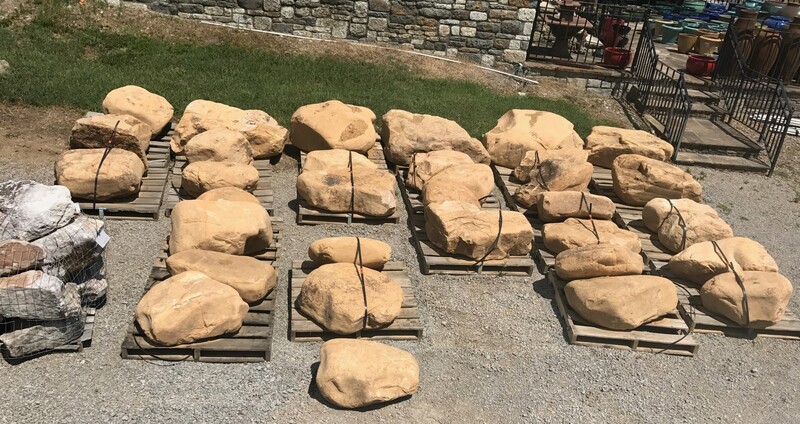 Larger boulders such as river stone boulders can also add a smart seating option in the lawn. Prices of boulders are variable depending on the shape, size, quality and a few other factors. 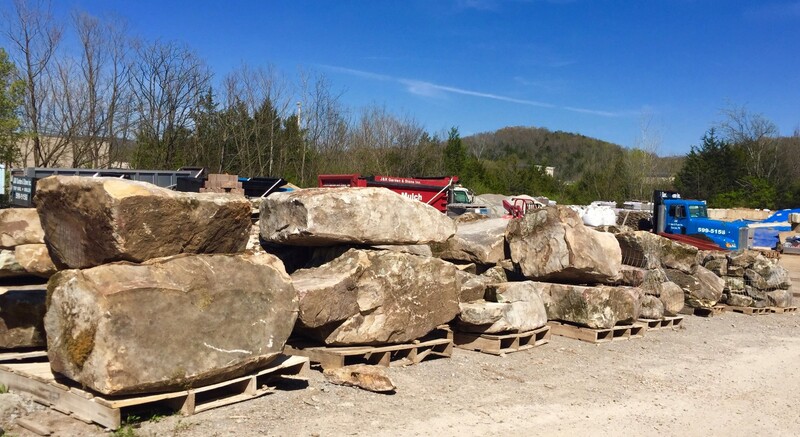 If you are looking for boulders in Franklin or Nashville, contact us at (615) 599-5156. You can inquire about size, availability, and pricing options. 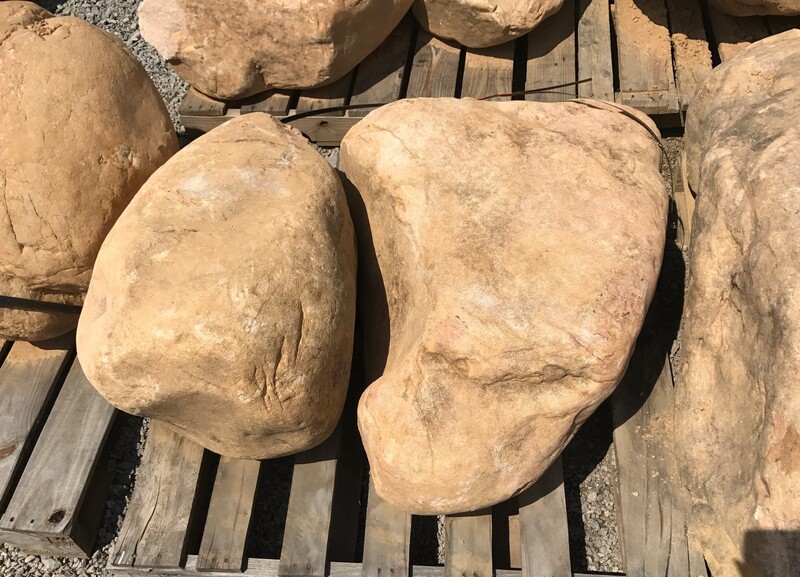 We have many different types of boulders available such as field stones, river stones, etc… J & R Garden and Stone Inc. also offers consultation services. 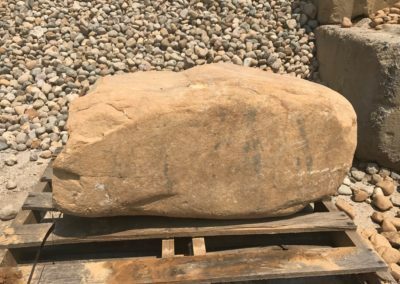 We can help you customize your lawn and suggest relevant boulder option to fit your budget. There is a wide range of natural stones available such as river stones, field stones, mountain boulders etc… Selecting the right kind of a boulder can be tricky. 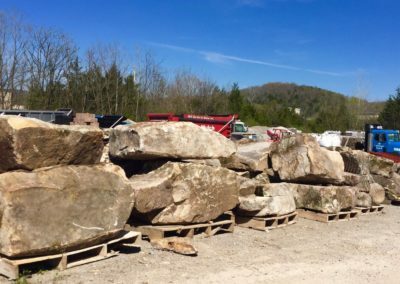 Since boulders are bulky, it is wise to plan well beforehand. Be aware of the exact requirements and try to get as much utility as possible from every piece. We recommend that you hire a designer that has a lot of hands-on field experience. A designer will be able to guide you to the best choice and will help you execute your plans. 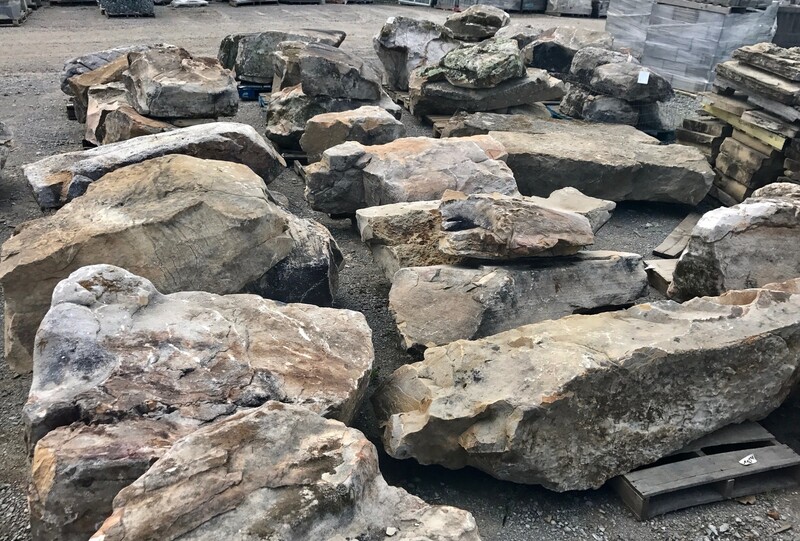 Many natural stone yards do not offer delivery. But, we at J & R Garden and Stone Inc. make it a point to deliver the products on site if the customer requests us to do so.